Every week I get my hands on a lot of different Internet Marketing products and services. I always get asked about which ones I recommend, so I’ve decided to publish a “Product of the Week” each week to highlight the “Best of the Best”. Sometimes it’s difficult to choose, but in the long run you’ll have a list of quality and trusted products to choose from. Enjoy! And the winner is…Tweet Pressr!!! Leah Butler-Smith has created a really cool WordPress plugin that can create an authority Twitter feed on autopilot. 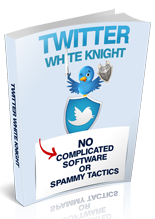 You can then use this Twitter account to build a respected authority feed in any niche that can drive traffic to your offers and websites. 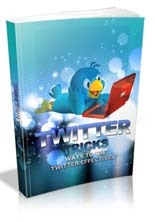 Ways To Use Twitter Effectively! 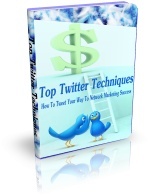 Get More Traffic From Twitter! How To Ethically Steal Thousands Of Followers!